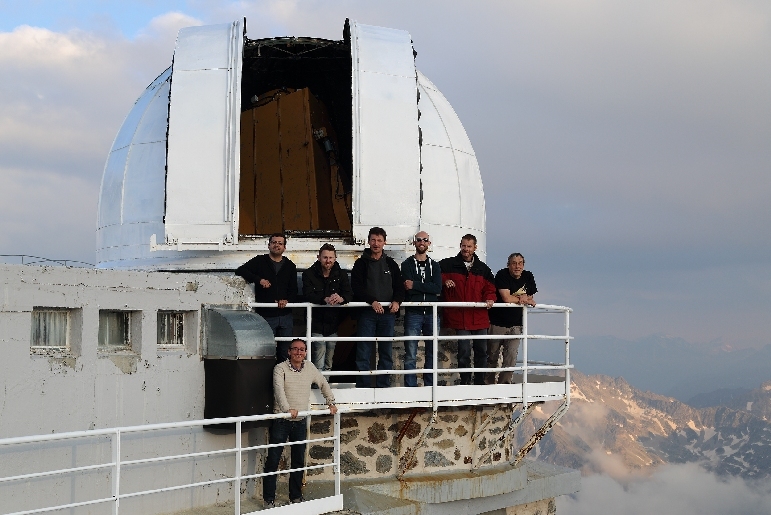 Above: The Pic Net Team outside the dome of 1 metre telescope used for planetary observations during our stay. Top row L-R (C. Sprianu, D. Peach, M. Delcroix, E. Kraaikamp, G. Therin, F. Colas) Bottom Row R. Hueso. 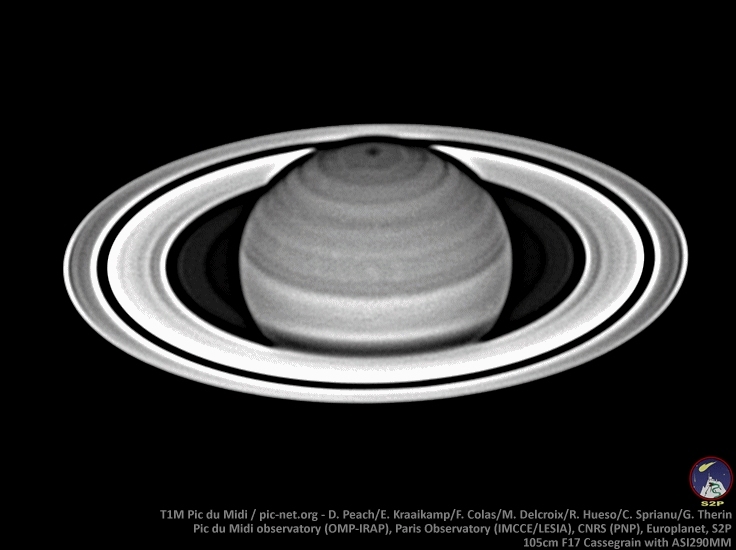 During June 2017 i was fortune to join a team of experienced professional and amateur astronomers formed to make use of the historic 1m F/17 telescope stationed at Pic du Midi Observatory high in the French Pyrenees region. The objective of this mission was to form a team of observers to travel to make use of this telescope (hopefully several times per year) for planetary observations. 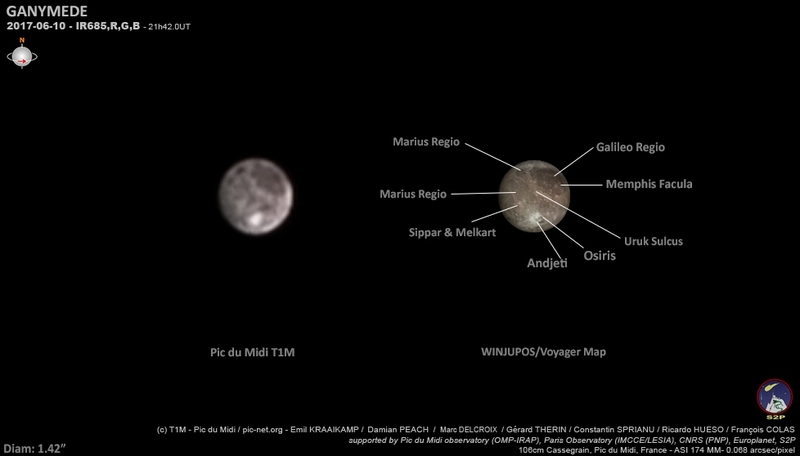 The mission was arranged by Francois Colas and Marc Delcroix and funded by Europlanet. 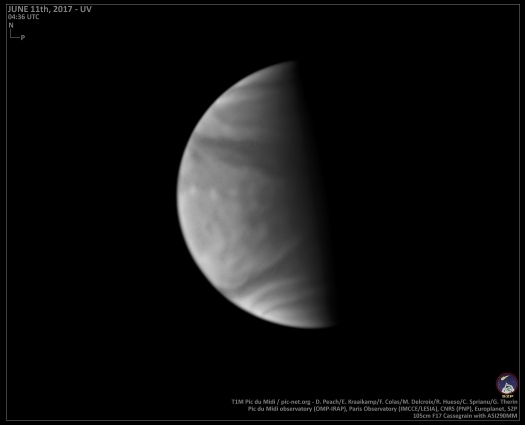 During our three nights of observations we were able to obtain some of the most detailed ground based planetary images ever taken. 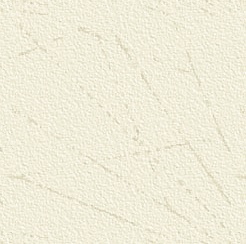 The best of the results are presented below. My sincere thanks to Francois Colas and Marc Delcroix for arranging this memorable mission to this historic observatory and to Europlanet for funding the observing mission. 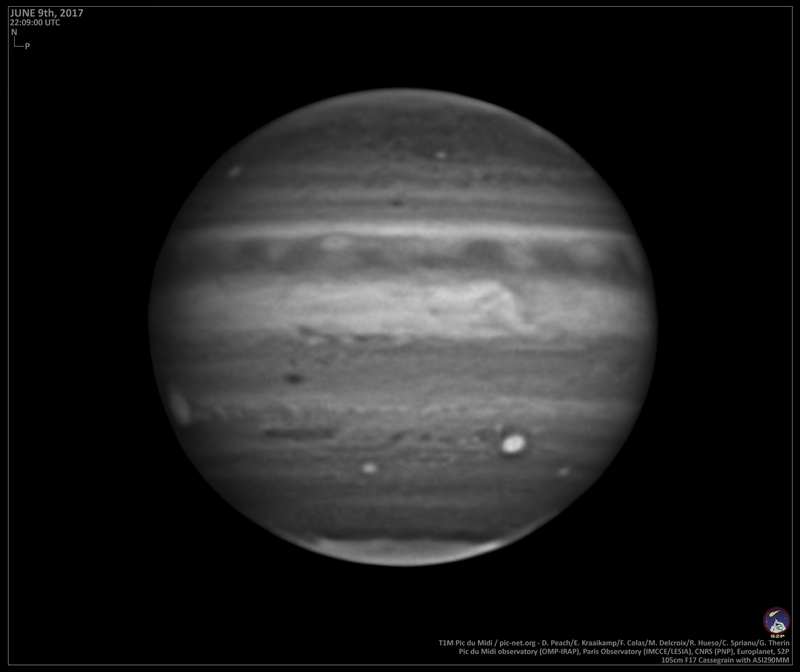 Conditions on the first night were generally started with extensive high clouds across the sky and variable seeing. 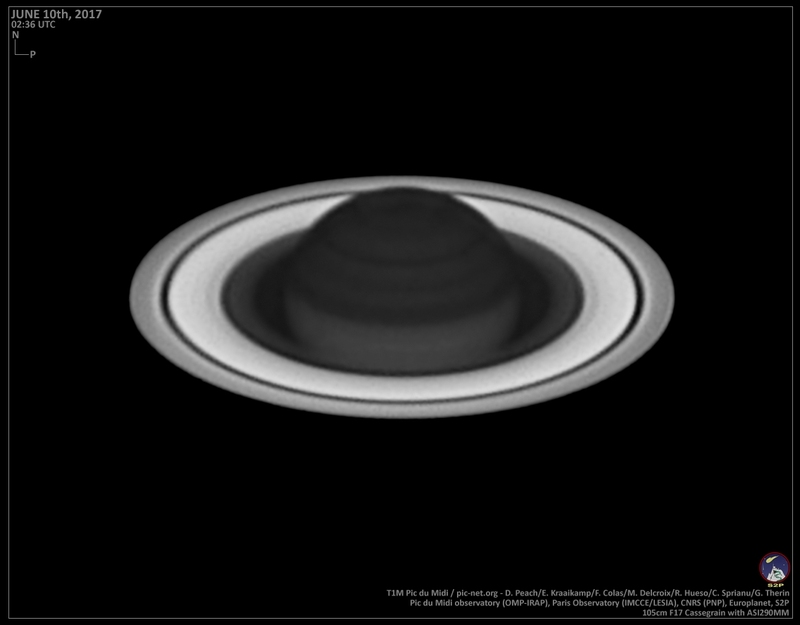 Later in the night for Saturn conditions improved and seeing became excellent and transparency improved. Conditions on the second night were much improved. 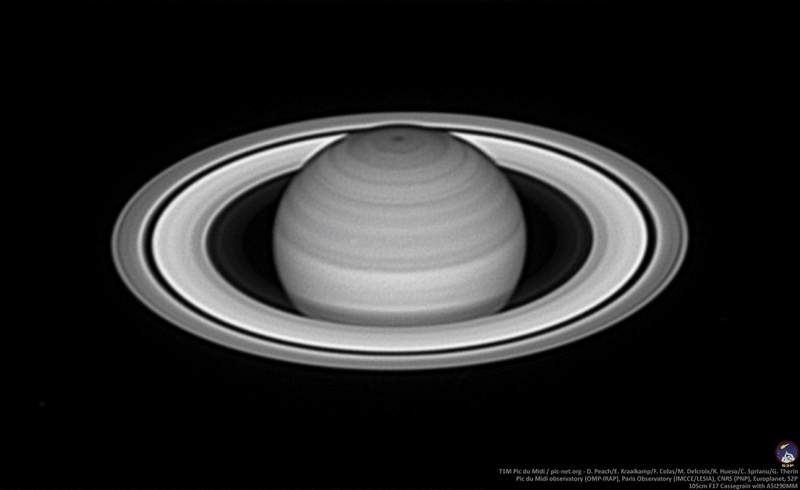 Seeing was superb at times despite the planets being low in the sky. 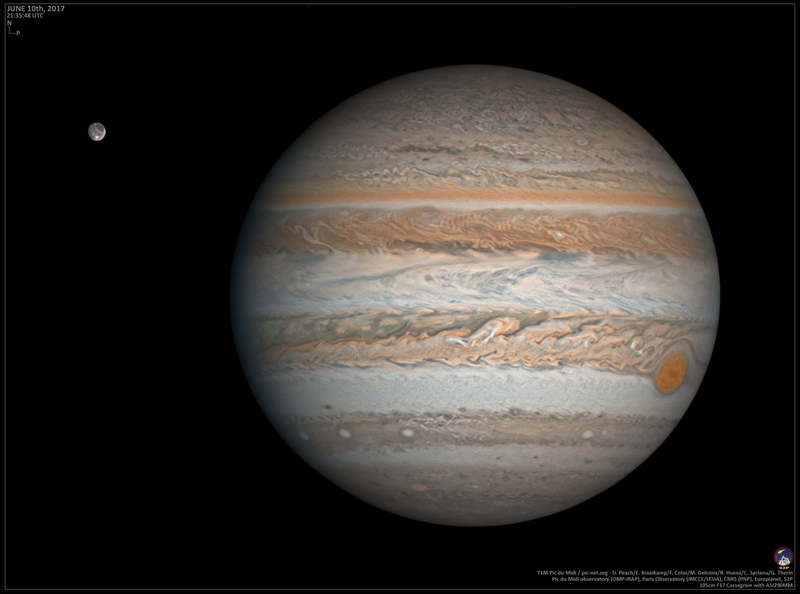 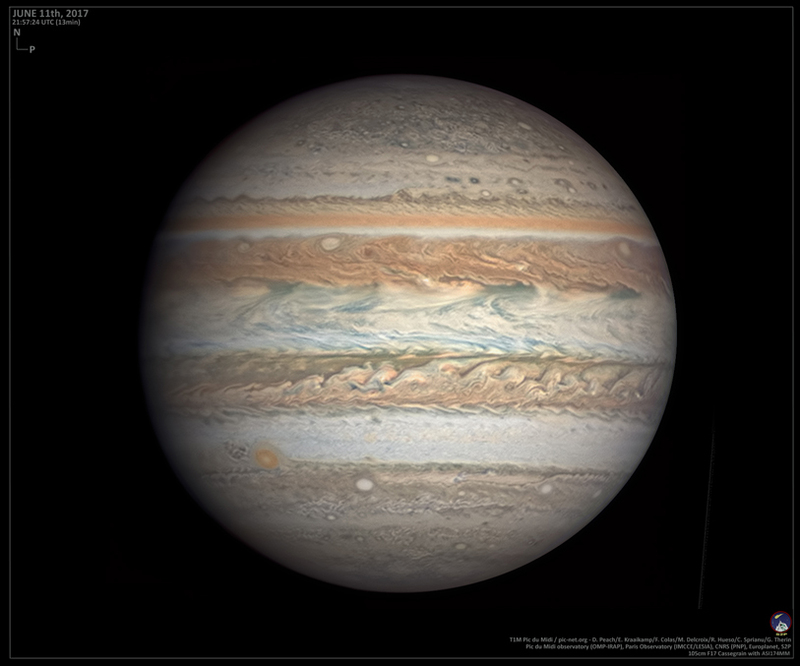 Some exceptional results were obtained of Jupiter and Saturn. 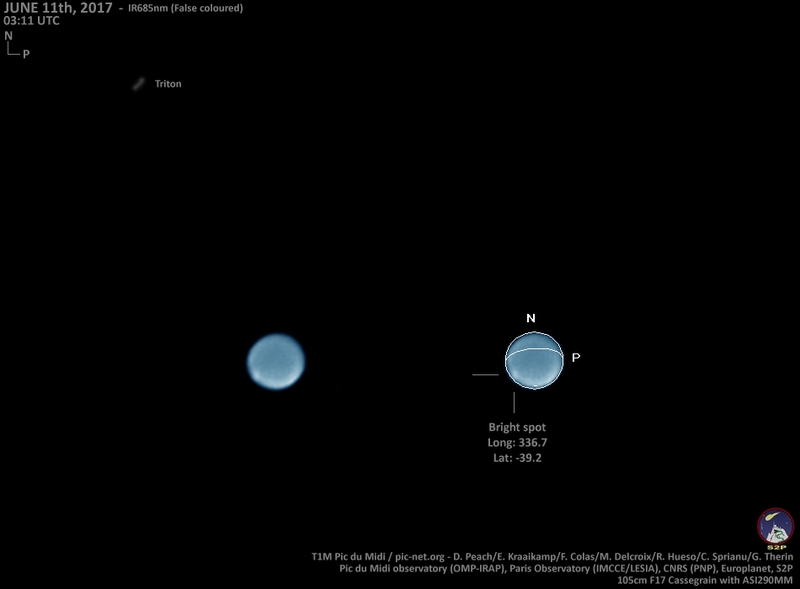 Bright storms discovered on Neptune, and detailed images of the Venusian clouds. 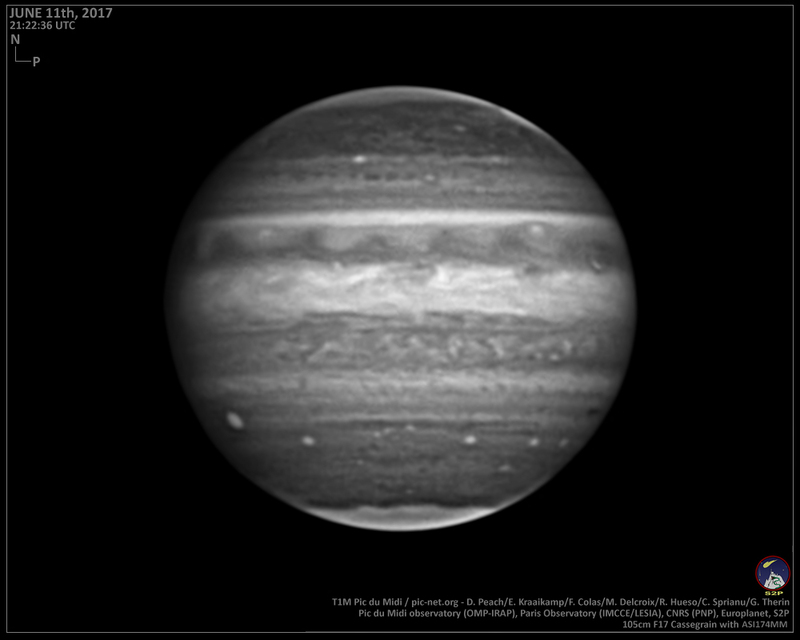 A long but very enjoyable night! 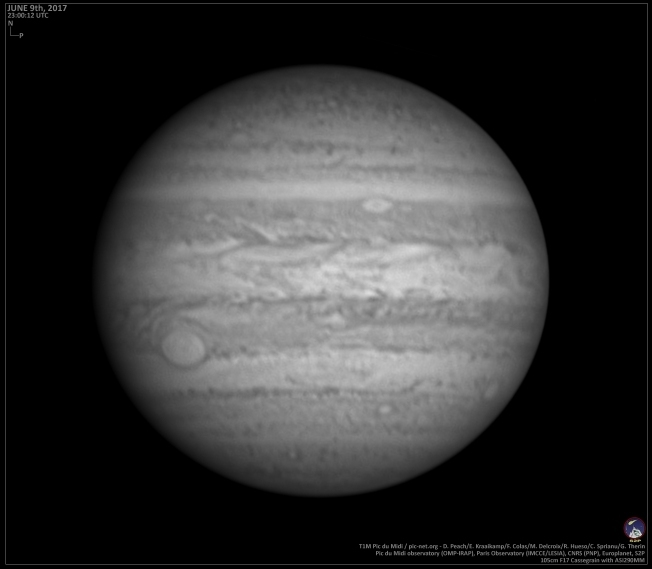 Jupiter with GRS on June 10th. 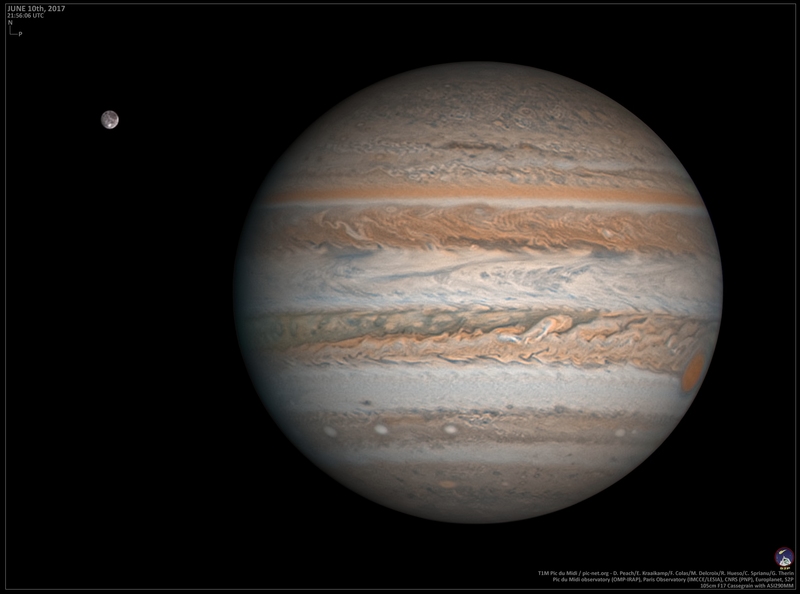 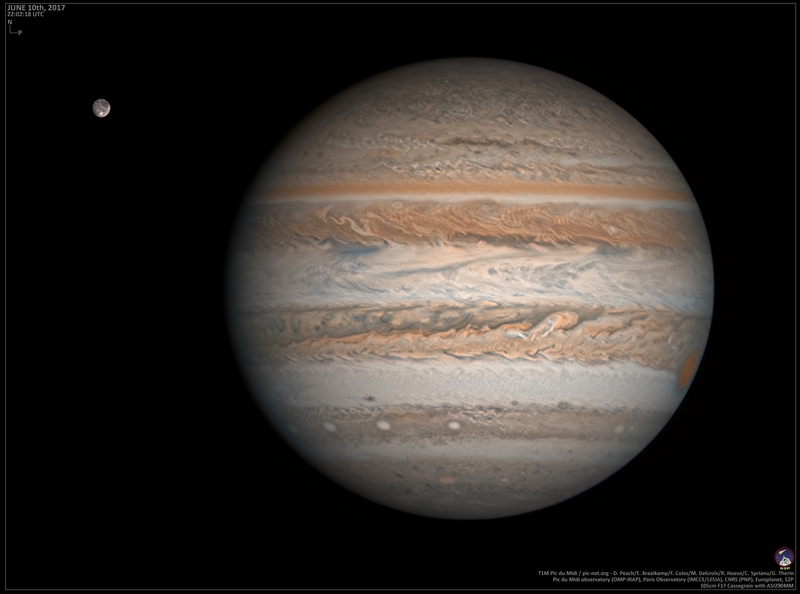 Jupiter with Ganymede on June 10th. 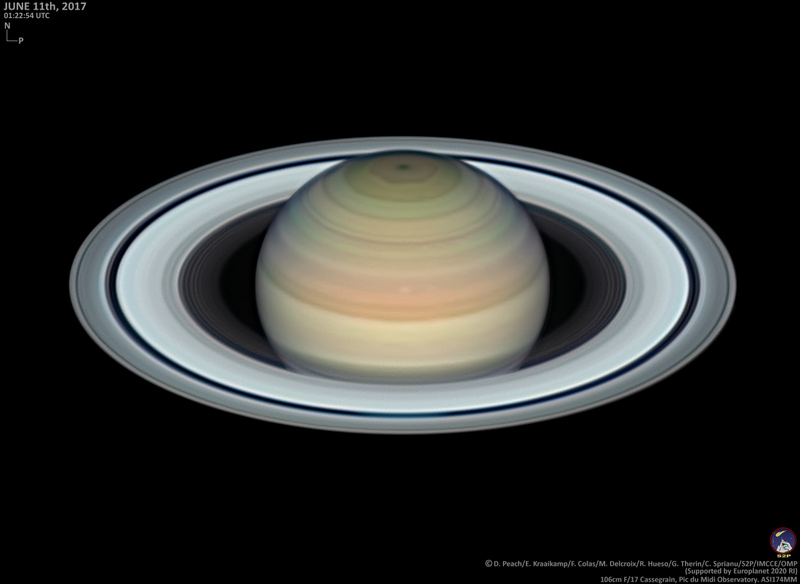 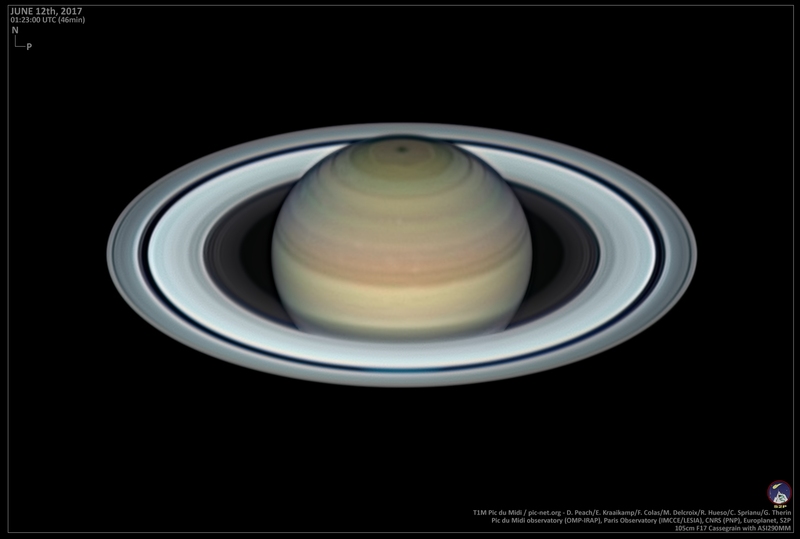 Animation of Saturn on June 11th. 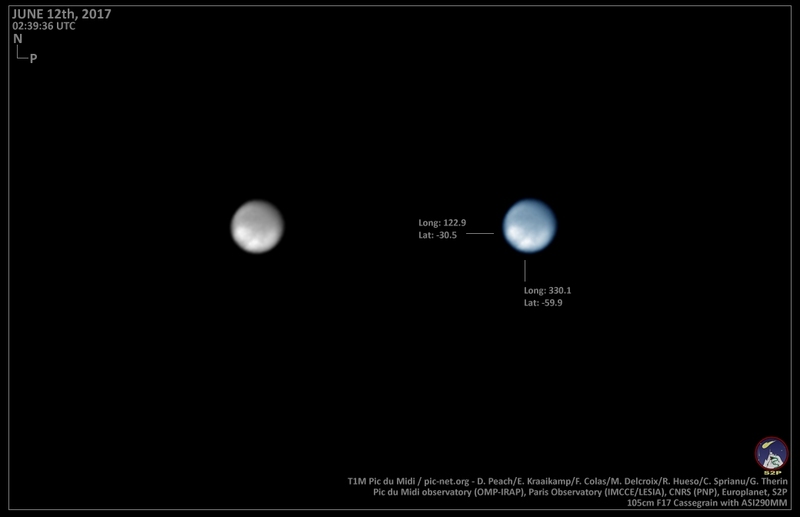 Neptune with bright storm at lower left on June 11th. 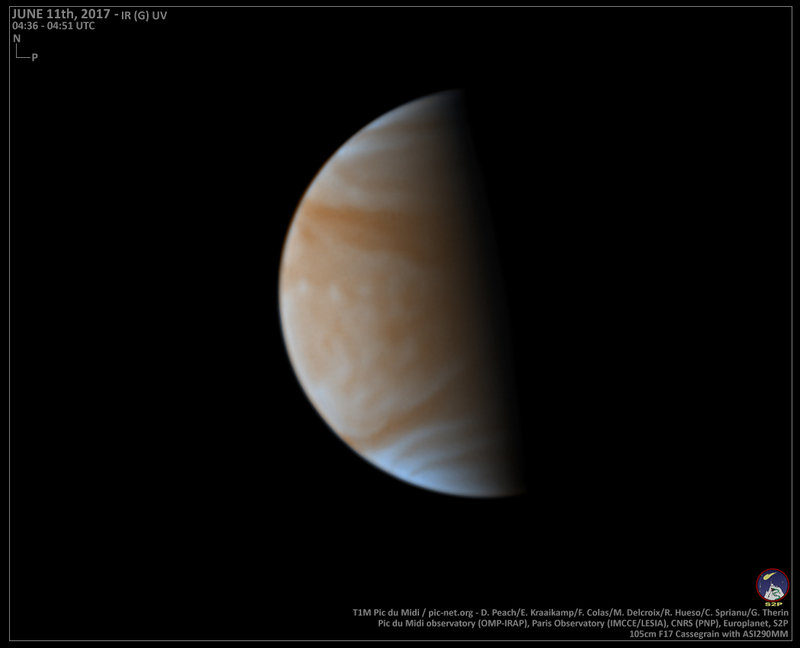 Venus in false colour and UV on June 11th. Conditions on the third night were again very good. Seeing was perhaps not quite as superb at the previous night but still very steady at times. 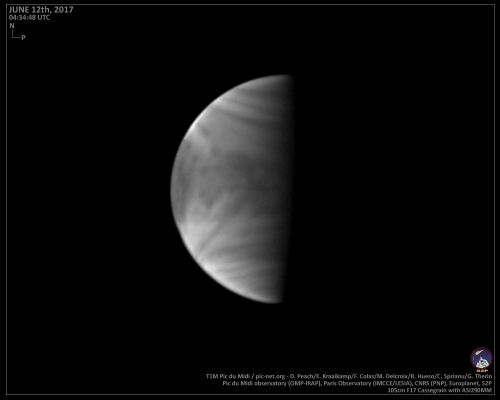 Again some excellent images were possible of all of the outer planets as well as Venus at the sun came up. Another long and enjoyable night using this superb telescope! 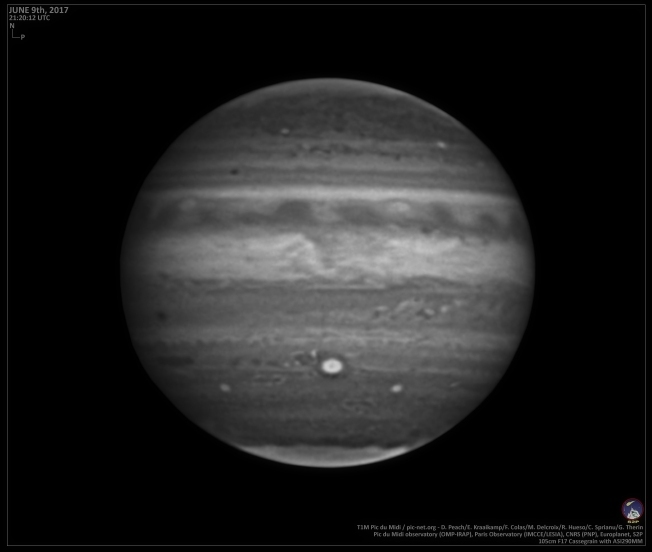 Jupiter in IR685 on June 11th. Jupiter in Methane 889nm on June 11th. 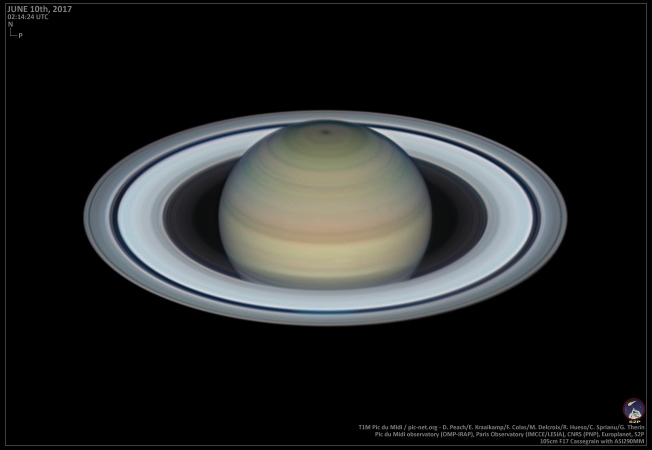 Saturn in UV on June 12th. 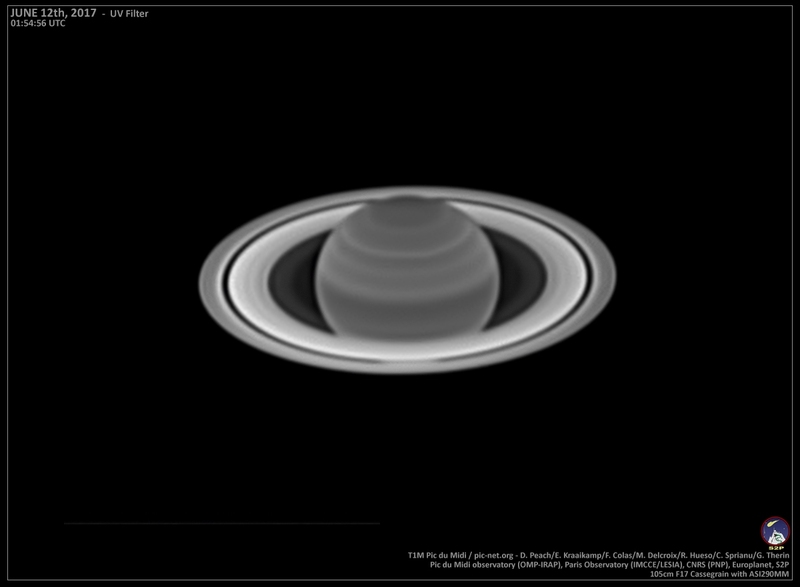 Animation of Saturn in IR685 filter. 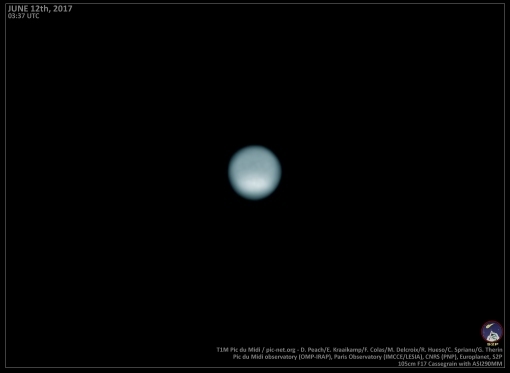 Neptune in IR685 on June 12th.